Rated 8.8 of 10 in 86 reviews. 8 rooms. Riad Sapphire and Spa is located in a residential area of the old city of Marrakech. 8 beautifully-renovated suites, each unique, and each with its own bathroom (some with bathtub and shower), individually-controlled heating / air conditioning. Free Wi-Fi access is available. Hairdryer and towels provided. Complimentary in-room safe. Rates include a daily freshly-prepared breakfast. Luxury and value in a boutique hotel. Two marble-floor inner courtyards, one with sliding glass roof and cascading wall fountain, the other with pool, central fountain and lovely seating area. There is a huge roof terrace for relaxing, sunbathing, dining. Private hammam and spa - one of the best things to do in Marrakech is to have a hammam - followed by a relaxing massage - heavenly. 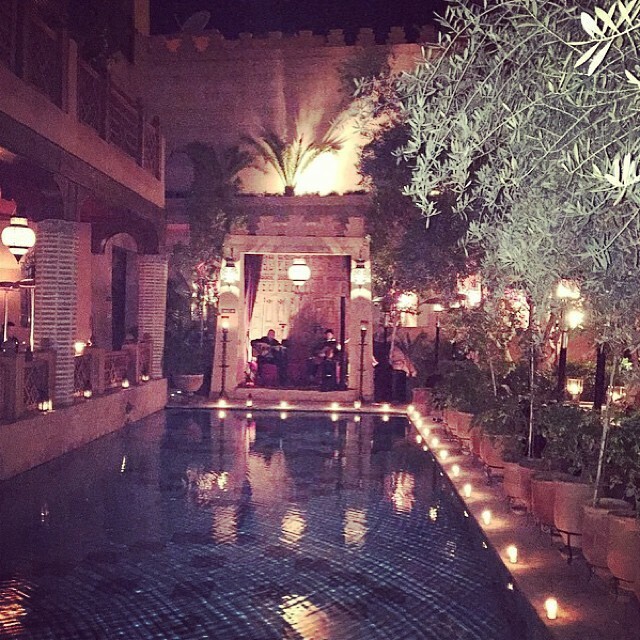 Riad Sapphire and Spa has its own restaurant and you can order home-cooked meals, Moroccan or European. Riad Sapphire and Spa has been designed to offer the space and light of modern architecture plus the wonderful craftsmanship available in Marrakech. It is not a typical, traditional riad but one that retains the best features of riads and adds a lot of modernity--unique in its own way. 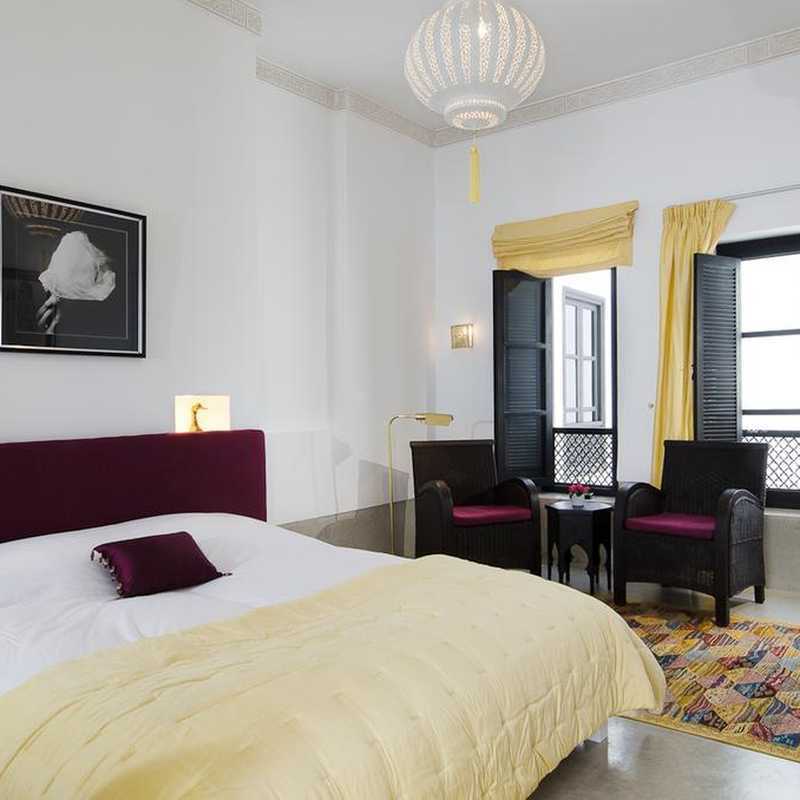 The boutique hotel is 1.6 km from Bahia Palace, 1.4 km from Conference Palace and 2.0 km from Majorelle Gardens. Menara Airport is 4 km away. • eco-credentials include solar panels for hot water, heating the swimming pool and hammam. • locally-sourced organic toiletries are provided in the suites and spa / hammam. 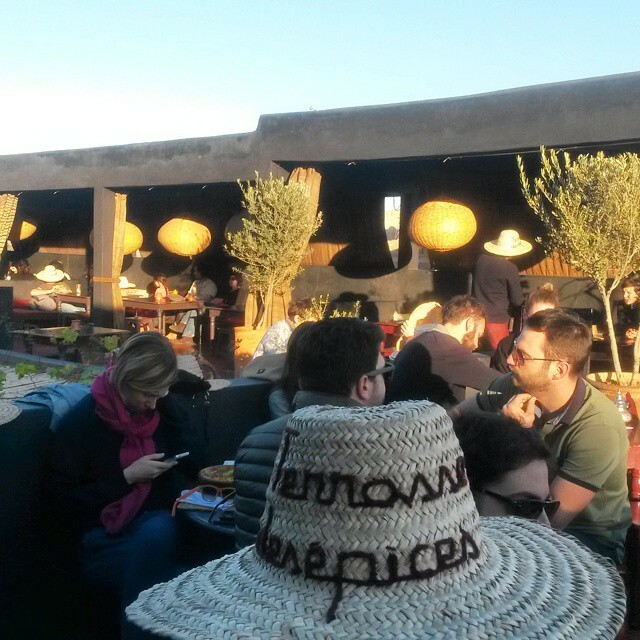 • enjoy the best of Moroccan cuisine at reasonable prices – healthy, organic, home-cooked food such as delicious Aubergine Salad and Lemon Chicken Tagine with Olives. • pamper yourself at the spa in Riad Sapphire and Spa - private hammam and massage/beauty treatment room — a lovely treat and an authentic Moroccan experience. • Service with a smile. Helpful staff who can arrange everything from restaurant reservations, day trips, tours, cookery classes to massages.We will also organize transfers at the airport/train station/bus station to ensure a smooth and hassle-free arrival. 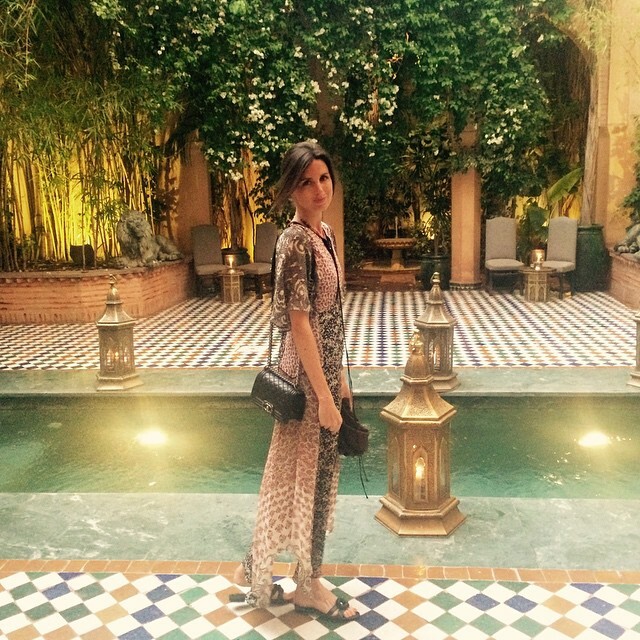 Why is Marrakech worth visiting? With African, European, Islamic and Berber influences Marrakech is a very exciting, interesting city. As it ievolves it manages to combine a curious mix of opposites: it’s old and it’s new; It’s traditional and it’s modern; it’s elegant and it’s casual; it’s exotic and it’s familiar; it’s African and it’s European. 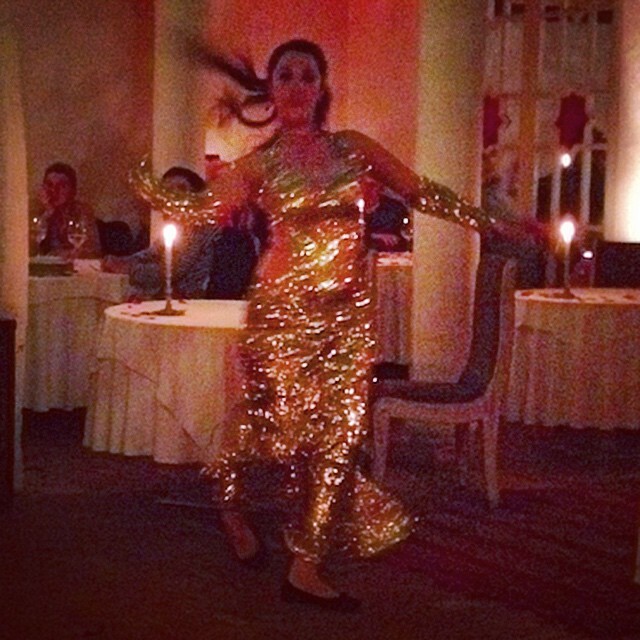 It makes for a very creative mix – as evidenced in the multitude of art galleries, evolving fashions, the music scene, new boutiques, hotels, restaurants with nouvelle Moroccan cuisine. We’ve written about the changing scene in Marrakech via our blog www.chic-marrakech-riads.com that we update regularly to show case the latest developments. The people are very friendly and extremely hospitable. The weather is fabulous most of the year – a great place for winter sun. 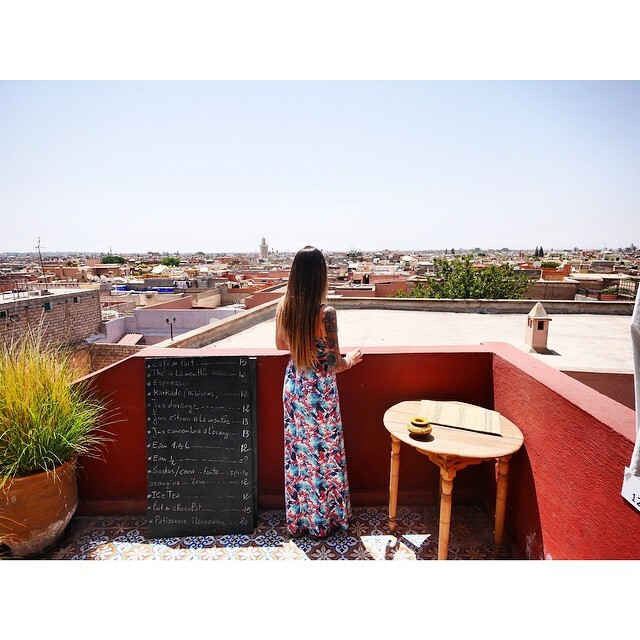 Marrakech is a destination just a couple of hours from Europe, perfect for a citybreak or as part of a longer Moroccan tour, offering an astonishing sensual profusion of colours, aromas, sounds, sights and sensations in a medieval atmosphere. 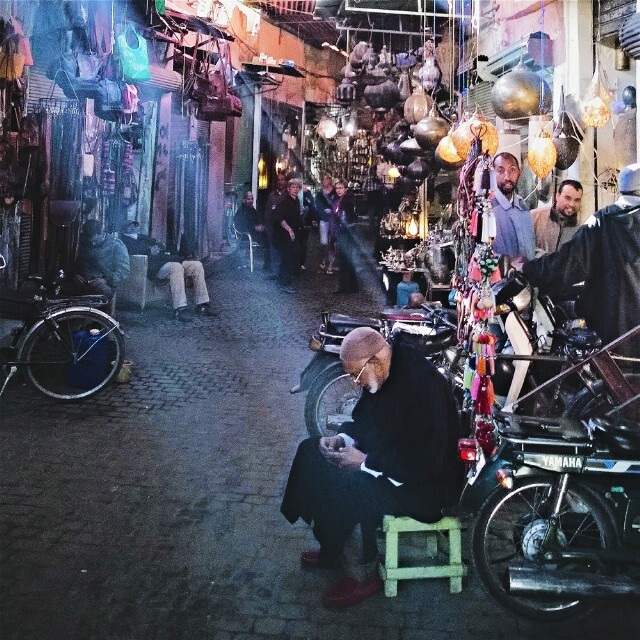 Explore the souks, watch the performers, snake charmers, storytellers in the main square, Jemaa-el-Fna’, sample incredible food, dine on romantic rooftop restaurants, sip mint tea in elegant colonial-style cafes and generally soak up the atmosphere. Staying in a riad, the traditional Marrakchi home with an inner courtyard, is the ideal way to have an authentic experience in Marrakech without having to give up your creature comforts. Our guests are a mix of ages, from early twenties to retirees, evenly spread between females and males. We’ve had solo male travellers and solo female travellers. Many couples, including honeymoon couples, come for a relaxing break. Intrepid families come with their children – a great way for children above 7 to see a new culture and do a lot of learning about the world without having to ‘study’ anything. A newcomer to the Marrakech medina restaurant scene, this restaurant is on the road between Riad Laarous and Bab Doukkala. 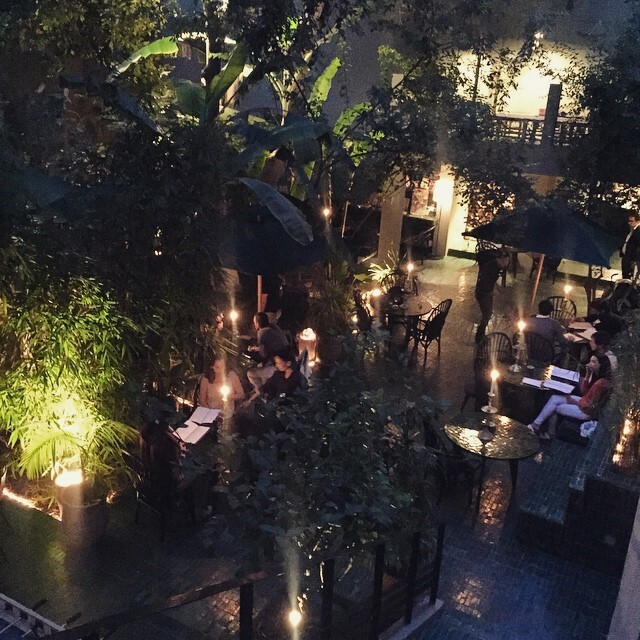 With its nouvelle Moroccan cuisine menu, it has shot up on the popularity list. It is easily accessible from our riad, Riad Sapphire and Spa. From the square at Riad Laarous, take the road west that leads past the Mohamed V high school. The restaurant is on your left-hand side. <br />There is usually someone on the outside to guide you into the restaurant that is outdoors in a large shady patio.<br />Meals are as delicious as they are beautiful. Reputed to be the best Moroccan restaurant in Marrakech, Der Zellij is a restored 17th century Riad serving wonderful food. Definitely recommended. Try the lemon chicken and enjoy the building. 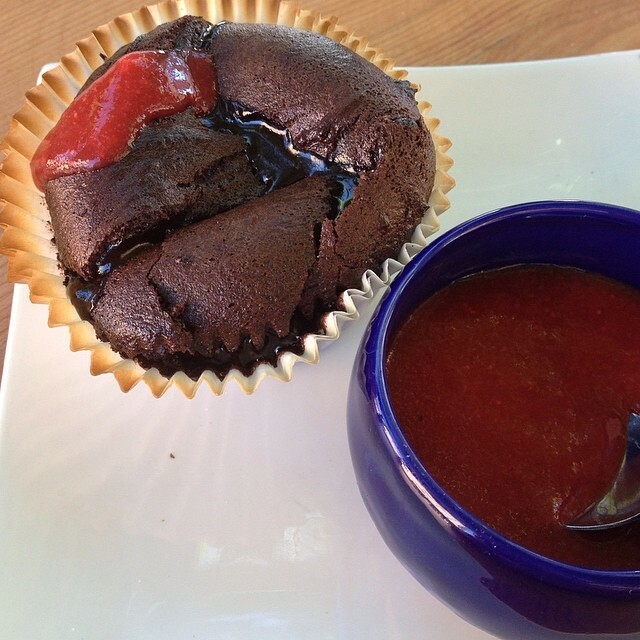 The 'Pastillia du chocolat' is absolutely stunning. big enough for two, too. Guests of this shabby-chic garden café sit at vintage tables and feast on casual staples, from salade niçoise to crisp, tangy Moroccan briouates (vegetable- or meat-stuffed phyllo triangles). Set in the flowery courtyard of a restored riad, Le Jardin is set in a beautiful garden (as the name indicates), the central courtyard of an ancient riad in the medina of Marrakech. Enjoy eating and drinking in the shaded garden or choose an indoor eating area. Trees and shade abound so this is just the space for when you want to relax from wandering around the souks. There’s even a small library under the courtyard arches. Try the milkshakes during the day (milk with avocado, milk with carrot, almond milk then in the evening switch to traditional Moroccan dishes like tajine d’agneau, mixed grill with taktouka or Beldi chicken with saffron, honey and semolina Seffa. Luxxing.. Great hammam spa, great restaurant, good cocktails. 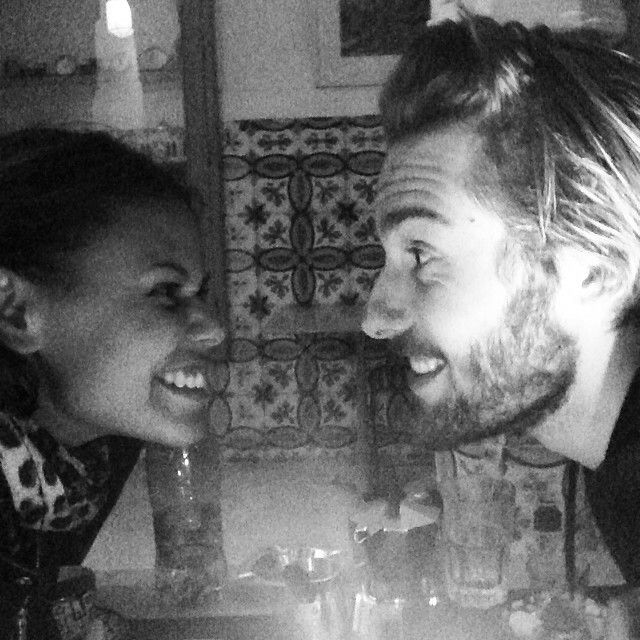 Spendy for Morocco, good value by western standards. Hosts rotating exhibitions of more than 6,000 historical photographs. The building is one of the medina’s tallest; stop by its rooftop tea salon for a steaming cup and take in the view of the city. 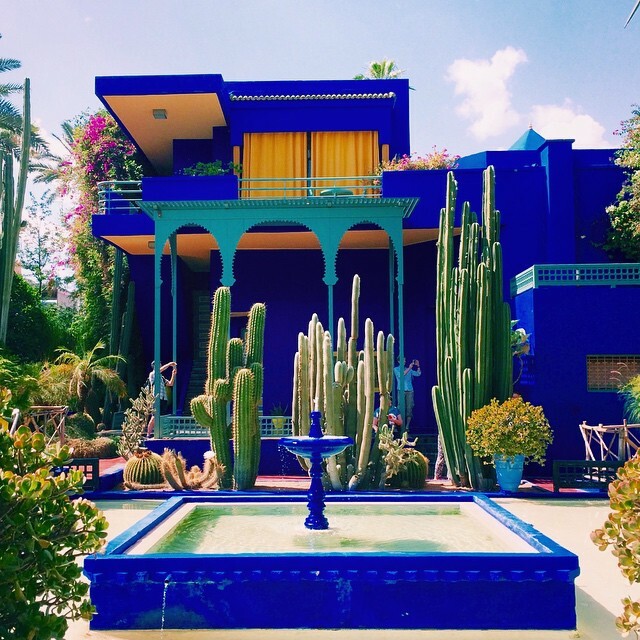 The 12-acre botanical gardens owned by Yves Saint Laurent have colorful local flora, along with a small café, bookshop, and the Musée Berbère, with Berber art from the designer’s collection. 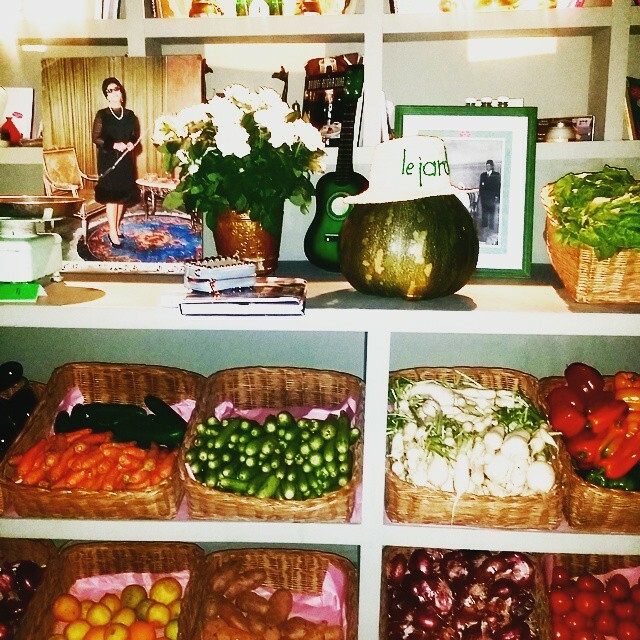 Eat and help others – a simple concept but one full of hope for women who are helped by Amal Assocation. Amal (‘Hope’ in Arabic), offers very tasty meals, beautifully presented and at a very reasonable price. It's just a small place set in a villa on the corner of rue Alklal Ben Ahmed and rue Ibn Sina, in the new town of Gueliz. There is an indoor dining room, but if the weather is lovely, choose the outdoor garden.